“It is worth doing nothing and having a rest”. I remember the first time I heard this wonderful piece from The Curly Pyjama Letters by Michael Leunig. I was enjoying relaxation at the beginning of a yoga class with my dear teacher Lyn Colenso and she read the letter (see below) to us like a bedtime story; the sentiment stayed with me for a long time after. The Curly Pyjama Letters is a collection of correspondence between lone voyager Vasco Pyjama and his friend and mentor Mr Curly of Curly Flat. What is worth doing and what is worth having? I would like to say simply this. It is worth doing nothing and having a rest; in spite of all the difficulty it may cause you must rest Vasco –otherwise you will become restless! I believe the world is sick with exhaustion and dying of restlessness. While it is true that periods of weariness help the spirit to grow, the prolonged ongoing state of fatigue to which our world seems to be rapidly adopting is ultimately soul destroying as well as earth destroying. The ecology of evil flourishes and love cannot take root in this sad situation. Tiredness is one of our strongest, most noble and instructive feelings. It is an important aspect of our conscience and must be heeded or else we will not survive. When you are tired you must act upon it sensibly – you must rest like the trees and animals do. Tiredness has become the most suppressed feeling in the world. Everywhere we see people overcoming their exhaustion and pushing on with intensity—cultivating the great mass mania which all around is making life so hard and ugly—so cruel and meaningless—so utterly graceless—and being congratulated for overcoming it and pushing it deep down inside themselves as if it were a virtue to do this. And of course Vasco, you know what happens when such strong and natural feelings are denied—they turn into the most powerful and bitter poisons with dreadful consequences. We live in a world of these consequences and then wonder why we are so unhappy. So I gently urge you Vasco, do as we do in Curly Flat—learn to curl up and rest—feel your noble tiredness—learn about it and make a generous place for it in your life and enjoyment will surely follow. As we learn to witness and welcome whatever arises within and around us, we gain insight and understanding into what is required to live harmoniously with ourselves, others and life around us. I often come across images, poetry and stories that inspire me in the work I am doing (and I have one below to share with you). They can be gentle reminders of what we already know, or ignite a new spark of knowing or curiosity. In a world that pulls us in different directions with so much stimulation and on offer, it can be really helpful to come back to what is simple and grounds us in present moment reality. For me, spending time with family, friends and animals, being in nature and connecting to beauty, all bring me deep peace and happiness. Never let the things you WANT make you forget about the things you HAVE. The real beauty of life is in each precious moment. Stop and smell the roses. Most people who fail at reaching their dream, fail not from lack of ability but from lack of commitment. Stay Positive. When it rains look for Rainbows. When it’s dark look for stars. Thinking too much only complicates your life and creates a problem that wasn’t even there in the first place. Most of our insecurities come from comparing our behind the scenes life with other people’s highlight reel. Flow is a state where you are so focused if feels like time stands still. Doing what you love and challenging yourself is how you get there. The happiest people have deep, meaningful relationships. Nurture them and watch them grow. If this resonates with you, perhaps choose one area to focus on each week then use this focus to form an intention. Set your intention at the beginning of the day; for example….today I am grateful for……..OR ……today I will have lunch with ………. I recently attending a session on Yoga and Body Image presented by Janet Lowndes and Sarah Harry, community partners for the Yoga and Body Image Coalition. I have always taught yoga from the perspective of connecting inwardly (thanks to my wonderful teachers), and this presentation affirmed the importance of this approach. When we consider body image in terms of a yoga practice, this may include body weight, shape, gender, age, flexibility and strength. For many, the way we view ourselves will stop us from ever entering a yoga class. I love this quote from Rachel Brathen, a New York times best seller, motivational speaker and international yoga teacher. Yoga should be a practice that invites us to look inwardly, connecting with how we feel rather than how we look. “What’s happening inside my body”? There are many benefits to developing this interoceptive awareness: self compassion, a positive mental outlook, emotional coping, attention to self care and wellbeing. In yoga, the process of turning our attention inwardly is called pratyahara. We naturally explore pratyahara in relaxation and meditation, but do we turn our attention inwards as part of our physical practice too. 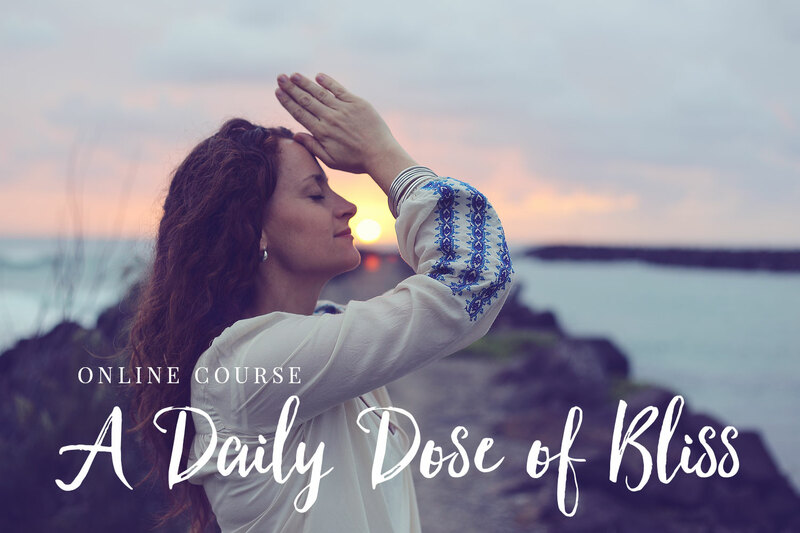 Do we listen to the constant messages from our body (whether to deepen or relax into a pose), are we guided by the quality of our breath and a steadiness of mind? Here are some ways to bring more inner reflection and peace into our practice. Radical Acceptance – seeing things clearly as they are, in a way that is self-compassionate and non-judging. “I am already enough”. Learn to be at peace with ourselves and the world around us. Discover we are more than our thoughts, emotions and life experiences. Learn to respond, rather than react to life. Learning to listen to our bodies rather than fighting against them. Be kind and gentle with yourself. LOVE YOUR BODY. Love it, nurture it, respect it, be kind to it, be grateful for it, celebrate it’s strengths, and befriend it. At times when we are challenged to find peace within ourselves, with others and the world we live in, I choose to turn towards beauty, nature and the wisdom of others. Enjoy this beautiful poem by Dorothy Hunt. 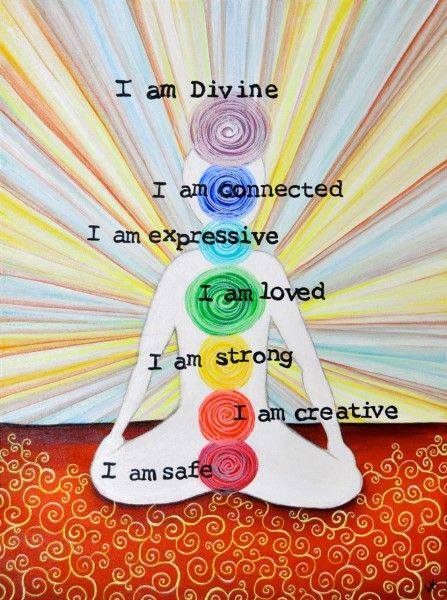 I love working with the chakra colours. In this relaxation/meditation, I have weaved the colours and an affirmation associated with the 7 main chakras into a creative visualisation. You could practice this in savasana (lying on the floor) or seated upright. Ensure your body is supported and comfortable to allow for a deeper experience to unfold. When we support our body in meditation, our energy and attention is drawn away from the physical layer, opening to higher levels of consciousness and a spacious enquiry. You may choose to rest in stillness and silence after the guided relaxation, allowing your attention to open to all that is inside and around you. Let your focus be relaxed and open, aware of everything but nothing specific. As your attention is drawn to and lingers on a specific thought, sensation, emotion, sound, memory or image, open your attention out – be expansive and spacious. As the energy of Spring draws us out into the world with new projects, time in the garden, clearing out cupboards and drawers and generally being more active, remember to also cultivate the inner “garden” through relaxation, meditation and other mindfulness practices. Only a beige slat of sun above the horizon, like a shade pulled not quite down. Otherwise, clouds. Sea rippled here and there. Birds reluctant to fly. 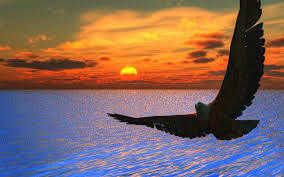 The mind wants a shaft of sun to stir the grey porridge of clouds, an osprey to stitch sea to sky with its barred wings, some dramatic music: a symphony, perhaps a Chinese gong.